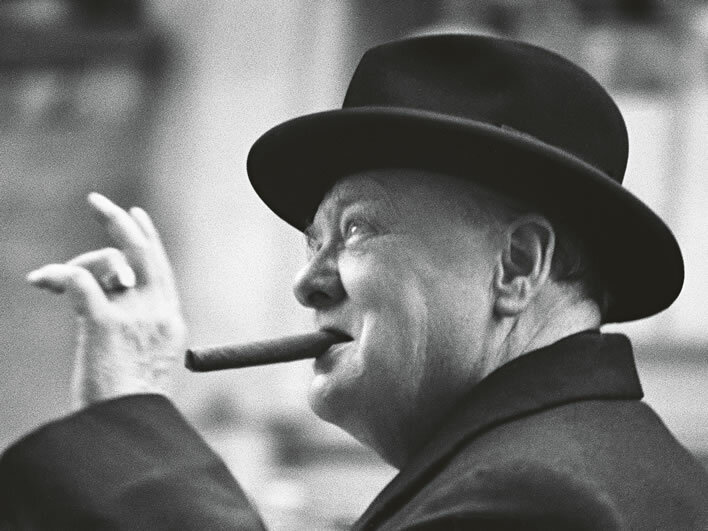 Winston Churchill (1874-1965) gave his famous 'Europe' speech (pdf) in Zurich on 19 September 1946, seventy years ago. The following is our translation of an extract from an account of the event written by Werner Vogt and published in the Neue Zürcher Zeitung on 10 September 2016. Seventy years ago, whilst the educated elite still clung to their nuanced view of the Second World War and the political class simply hid behind the sofa, the common people were not ashamed to demonstrate their feelings for someone who had stood alone against dictatorship. Worse than the clumsy handling of [Churchill's visit to Switzerland] from a modern perspective were the numerous cases of timidity and weakness displayed by the authorities. The reason for this was Churchill's famous 'Iron Curtain' speech held in Fulton, Missouri on 5 March 1946, in which he criticised in the strongest terms the Soviet Union's expansionist policy in eastern Europe, greatly to the displeasure of Joseph Stalin, the Soviet dictator. Untimely, because on 18 March 1946 Switzerland reinstated diplomatic relations with the Soviet Union. They had been broken off in 1923, following the murder of a Soviet diplomat in Lausanne. 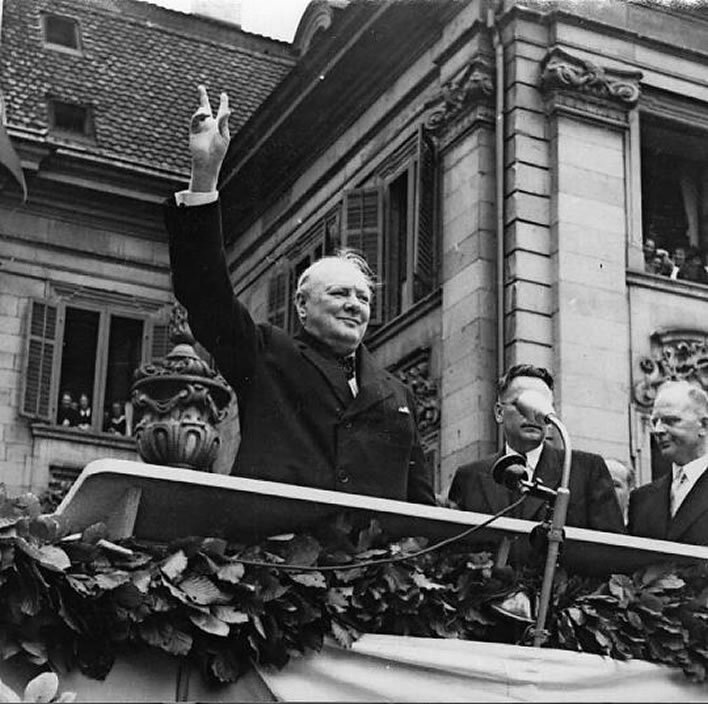 The Swiss Federal Government feared that Churchill would repeat his criticism of Soviet expansionism. This fear of upsetting the red potentate Stalin is especially absurd when one considers the contempt in which he held Switzerland. Speaking to Churchill, Stalin had called the Swiss 'swine' and had encouraged the Allies in the final phases of the battle against Germany to enter Swiss territory without hesitation if that would save time. Churchill, appalled at the idea, had rejected the suggestion outright. Since the situation requires an assessment of the foreign policy aspects, we do not wish to act without instruction, since the Federal Council is responsible for foreign policy. Should the Federal Council have concerns about the speech we would ask you – as I have already done with Federal Councillor Etter – to regulate the matter directly with Mr W. Churchill. I can only tell you that the Federal Council, although it cannot accept any responsibility for an event that it did not itself organize, has raised no objections to it because it fulfils the following conditions: firstly the speech is not public, but will take place within the buildings of the University; secondly we have been explicitly assured that the speech is not of a political nature but is essentially a call to young people to work together for peace and against war. The authorities involved in the organization of the visit were not the only ones viewing the Zurich speech of Winston Churchill with trepidation. Churchill himself was aware of the implications of his message. He wanted to be considered – a few weeks before the Conservative Party Conference – as an international 'thought leader'. After dinner on 18 September he worked on the speech through the night and until seven o'clock in the morning, when he allowed himself a short nap. He carried off the speech to the students in the atrium with bravura. The remainder of the programme on 19 September, however, taxed him greatly. 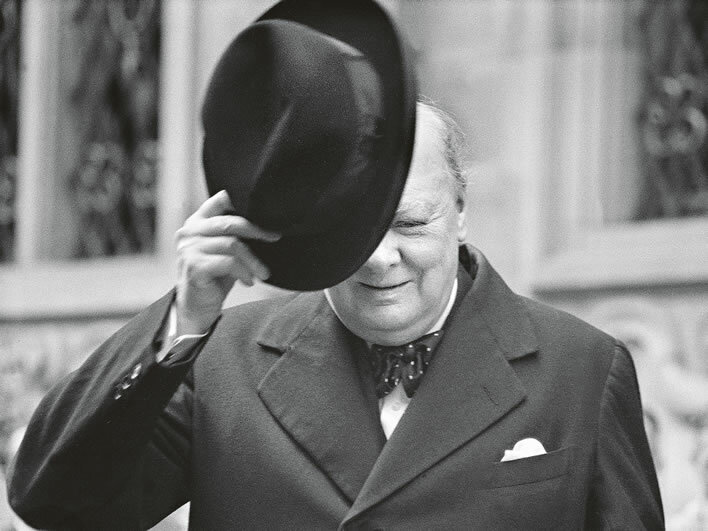 The fear among the political authorities over the possibility of anti-Soviet utterances by Churchill was matched by the embarrassment of the University authorities at the idea of awarding an honorary doctorate to the man who was British Prime Minister during the war. Charles Montag [his Swiss painting-instructor] had vigorously pushed the award of a 'Dr. h. c.' for the British Leader of the Opposition, in the knowledge that Churchill had great pleasure in honorary citizenships, civil and military orders and also honorary doctorates. In the spring of 1946, soundings taken by the University Rectorate had led to the conclusion that there would be resistance to the idea of awarding an honorary doctorate to Winston Churchill. The problem was that in the Philosophy I faculty, three votes against the proposal would have been sufficient to block the award of the honorary doctorate – and in the Jurisprudence faculty just two votes. In other words the opponents of the award had considerable weight. Since an official rejection of the proposal had to be avoided at all costs, the University leadership decided to avoid a test of strength with the timid professors, as well as with those who had understanding or even sympathy for Hitler's Germany. The most specious argument was that academic honours for politicians were in themselves problematic. Montag did not relent: when Churchill decided at the end of August to hold a speech at the University of Zurich, the painting teacher appealed once more to the Rectorate of the University, asking whether something could not be done in the cause of the 'Doktor honoris causa'. The Rector, Ernst Anderes, made enquiries among the professorial staff under difficult conditions in the middle of the University holiday, only to encounter rejection for the idea. The University of Zurich extricated itself from the affair with a simple trick. 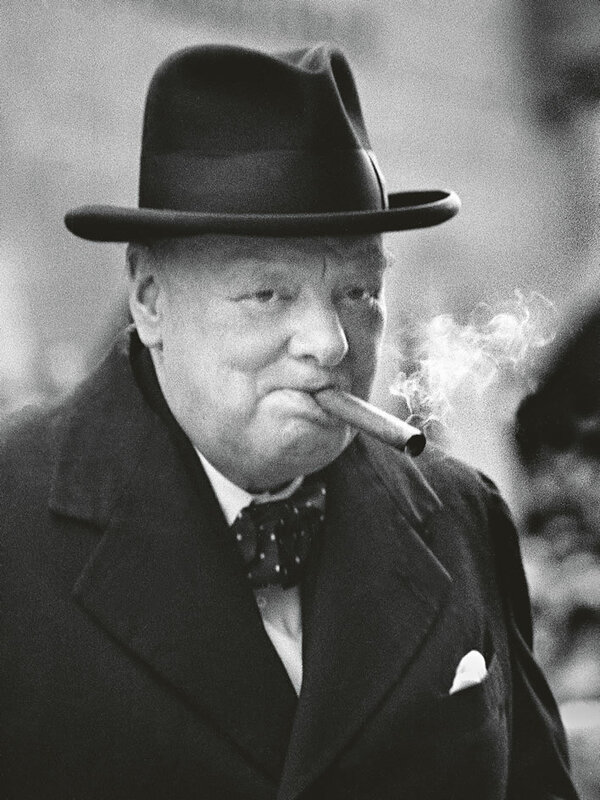 Churchill would be given a 'Diploma of Honour' written in Latin, an inadvertently homorous decision, since Churchill's most detested school subject had been Latin. In private Churchill was annoyed at the events surrounding the honorary doctorate, as he later told his paint supplier, Willy Sax. Of course, he did not let it affect his good mood during the visit. What happened on this 19 September 1946 in Zurich was unprecedented. During his drive through the city he had the sort of crowds that one might expect to see on the Monday of 'Sechseläuten' in fine weather. Churchill speaking to the crowds in the Münsterplatz. Image: NZZ	Archive. Tens of thousands of men, women and children turned out to celebrate the man, whom they – rightly – regarded as the saviour of Europe during the darkest hours of the year 1940. School was cancelled so that children could go and acclaim Churchill. Many waved flags while the adult spectators threw roses, filling the open limousine of the wartime Prime Minister with flowers. Where the pavements were broad enough, young men ran along with the procession of motor vehicles. This outpouring of popular enthusiasm was almost too much of a good thing for Churchill. He enjoyed the applause and the happy faces of the men and women of Zurich, less so the 'bombardment' with roses and flowers, some of which were still attached to lumps of soil or even in small pots. The photos from the Münsterhof are impressive, where every space was taken for Churchill's speech to the people of Zürich. Hundreds of young men who had not been able to obtain a ticket had scrambled up onto the roofs around the square. The original article was published in the Neue Zürcher Zeitung, Zürich und Region, 10.09.16, Nr. 211, Seite 20. The English translation ©Figures of Speech 2016. 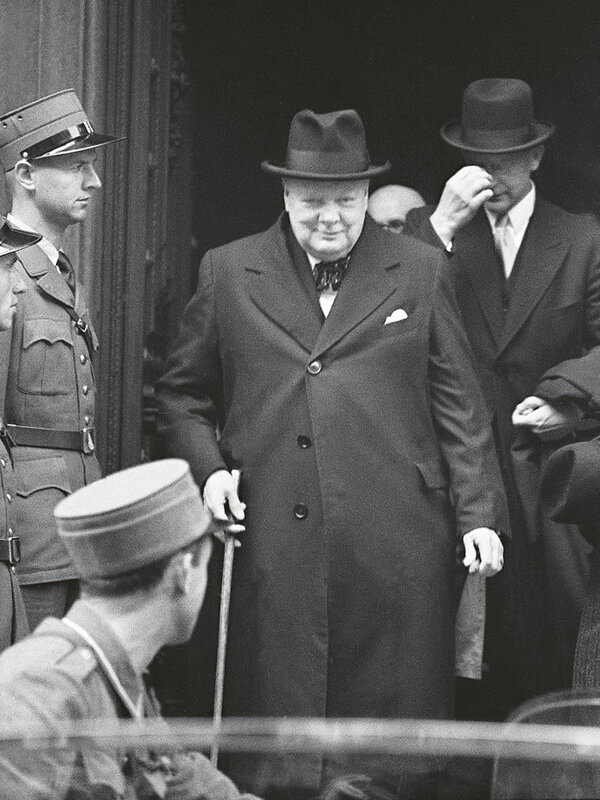 Dr Werner Vogt, the author of the original article in German, has kindly sent us some photographs of Churchill during his Zurich visit taken by the distinguished Swiss photographer André Melchior.